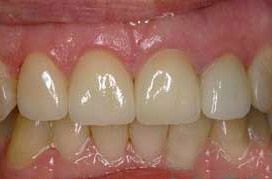 Want to see just a few examples of the great work Dr. Kuzmin, Dr. Lim, and our team do every day? 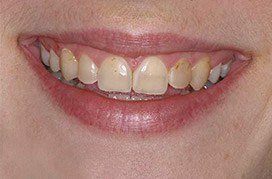 Below, you’ll find photos of real patients with the real smiles they got right here at Torrington Dental Care. 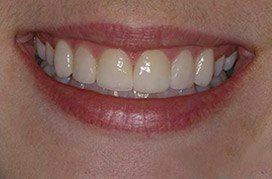 With us, no matter what a person needs, the result is always the same: a gorgeous smile they can’t wait to show off! 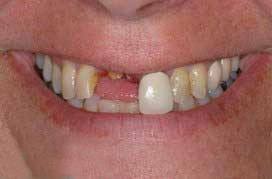 If you’d like to become our next success story, give us a call today. 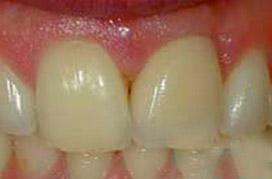 Before: Patient had different color teeth in the front which were also different sizes. 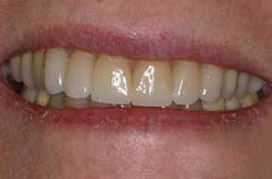 After: Black lines from crowns removed by placing lifelike, porcelain restorations. 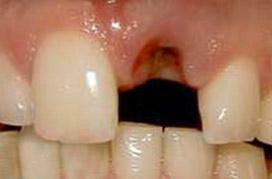 Before : The patient broke off her front tooth and her other front teeth were unattractive and the wrong size. 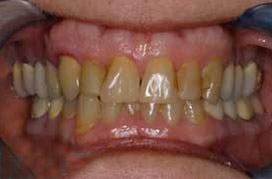 After : By removing the remaining part of her broken tooth her smile was rehabilitated with an all porcelain bridge and some veneers to give the smile harmony. 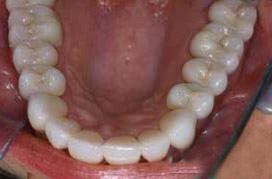 Before : The patient was always self-conscious because of the gap in her front teeth. 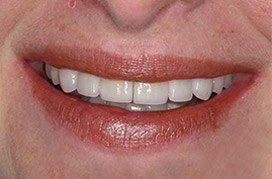 After : By placing two Porcelain Veneers, we were able to give her the smile she wanted and now she smiles with confidence. 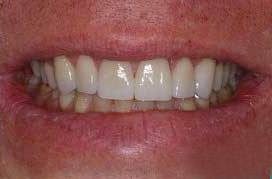 Before : This patient was unhappy with the wear, color, and size. 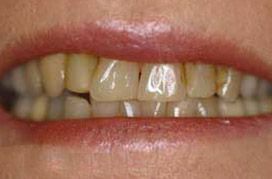 After : By placing porcelain veneers, the natural look she wanted is now a reality. 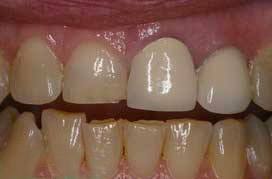 Before : This case shows severe staining from medication, and some tooth size discrepancy. 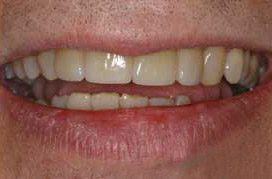 After : With cosmetic dentistry he is much more confident. 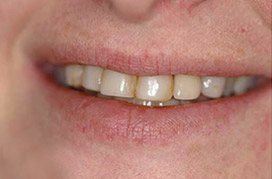 Before : Patient wanted to change her appearance of her dull and tired smile. 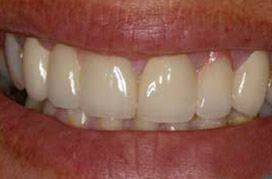 After : Ten porcelain veneers were placed on this patient’s upper teeth to give her a more youthful and pleasant smile. 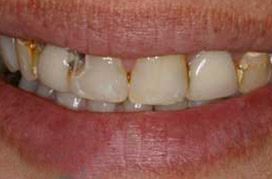 Before : Patient had dull, misshapen front teeth with failing restorations. 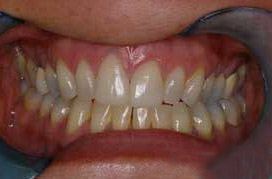 After : With six anterior veneers, the patient now has a smile she can show with confidence! 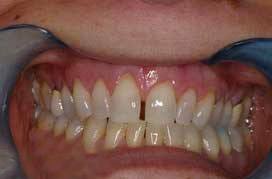 Before : Patients teeth were misaligned. 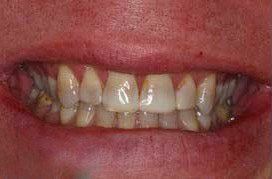 After : Teeth straightened with “instant orthodontics” achieved by placing natural looking, porcelain veneers. 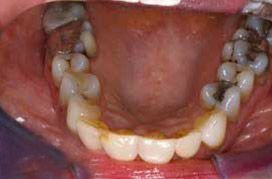 Before : Patient had numerous large, failing, silver fillings and old failing crowns on her back teeth. 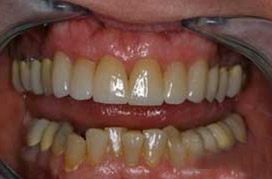 After : With all-porcelain crowns, we were able to restore her function, strengthen her teeth, and give her a smile of which she can be proud. 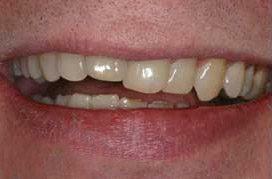 Before : Patient needs a Single Tooth Replacement of one Upper Central Incisor. 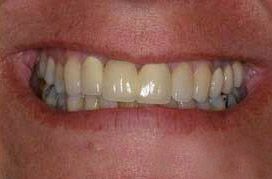 After : Smile and function restored with a Single Implant and an All Porcelain Crown (Cap) that fits securely over the implant.